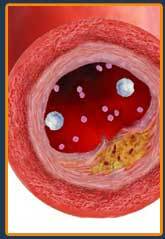 Cholesterol is carried by lipoproteins in the blood. HDL is the good cholesterol and LDL is the one that is harmful. The aim of the diet is to lower LDL and raise HDL. You need a list of food to avoid, which is high in cholesterol or saturated fats. You also require a meal plan that will ensure that there is enough fibre in the diet and that all your nutritional needs are met.